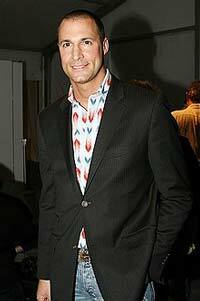 Nigel barker was born on April 27, 1972, to his Sri Lankan mother and Portuguese-English father. Since Nigel was a child, he was familiar with modeling and photography as his mother was a professional model and even won Miss Sri Lanka. He had five other siblings and attended boarding school where he studied science. After completing boarding school, Nigel was going to study in the field of medicine, but this quickly changed when his mother entered him into a televised modeling contest. The Clothes Show, as it was called, ended up being the start of his modeling career since he had became a finalist on it. Soon after this, he started modeling all around the world, including cities like New York City and Milan. He continued to do this for 10 years, but found that he did not like the way the models in the fashion industry had started to change. Barker decided he was going to become a fashion photographer and took his talents from there. His first step to becoming a professional photographer was opening up StudioNB, which was his own. It is located in Manhattan in the Meat Packing District and it is still around today. Nigel rose to popularity for his photos, using his contacts in the fashion industry to skyrocket his popularity. Soon enough he was taking pictures for magazines, websites, and catalogs. He also took pictures of celebrities that got them noticed, which contributed even more to his popularity among the stars. Nigel became so popular for his excellent photography that he landed a role as a judge on the reality show America’s Next Top Model. He was a judge on this show for 17 total cycles and even made appearances on other country’s top model shows, including Canada’s Next Top Model, New Zealand’s Next Top Model, Mexico’s Next Top Model, and Benelux’s Next Top Model. In 2007, Nigel was invited to be an official judge for the Miss America Pageant, which he accepted. In 2012, he was invited to be an official judge of the Miss Universe pageant, which he also accepted. Nigel is the executive producer of the show The Shot, which is a contest reality television show on VH1. It features photographers using their skills to win an ultimate grand prize. Barker also directed and produced A Sealed Fate, Generation Free, and Haiti: Hunger and Hope, all of which were documentaries he was passionate about. These films were even partnered with various charities to help bring attention to issues all around the world. Nigel also shoots campaigns for different charities for which he is the celebrity ambassador. Fashion Targets Breast Cancer is just one example of a charity for which he photographs. Although Nigel spends a lot of time behind the camera, he is also the spokesperson for many different brands. These brands include Crest White Strips, Nine West, Microsoft and Sony.